Who doesn’t love a fast meal idea? From busy parents, to the workaholic and everyone in between, no one loves spending hours on end in the kitchen cooking, only to eat the meal for 15 mins, then followed by more time spent cleaning the dishes. Occasionally I don’t mind spending a lot of time in the kitchen, like on a weekend night, when my husband and I can open a bottle of wine and leisurely cook our meal. The aroma of the food, the taste of the wine, and the carefree conversation is something I look forward to. Week nights do NOT follow under that category. I want to spend as little time as possible in the kitchen. In the winter, crockpot recipes are a big help and in the warmer months, using the grill is mostly time friendly. But for those inbetween nights I’ve developed a list of my top favorite simple and quick dinner recipes. 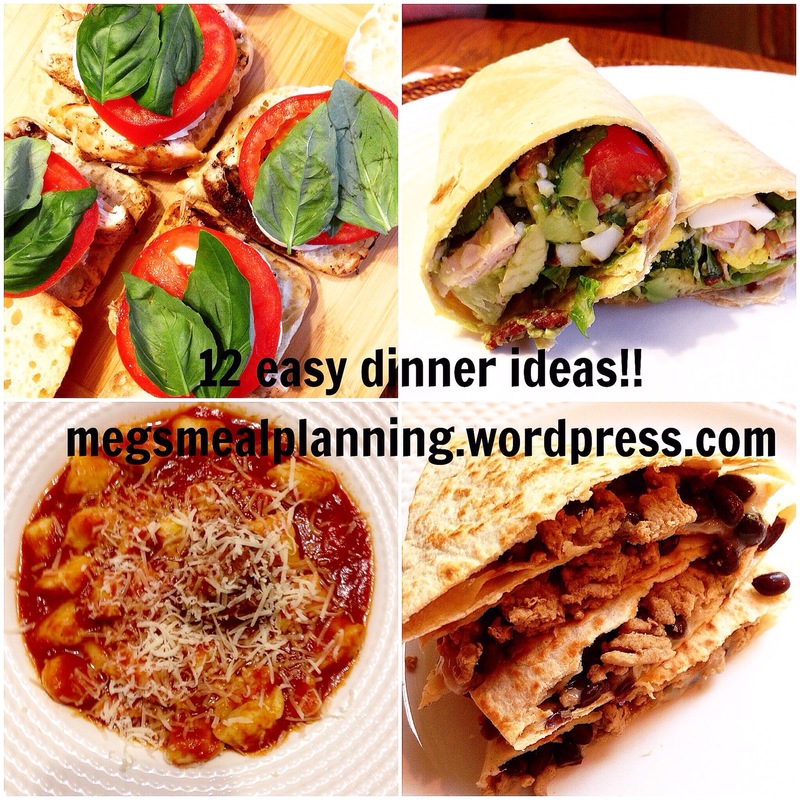 All recipes I have made and shared in my weekly mealy planning menu. 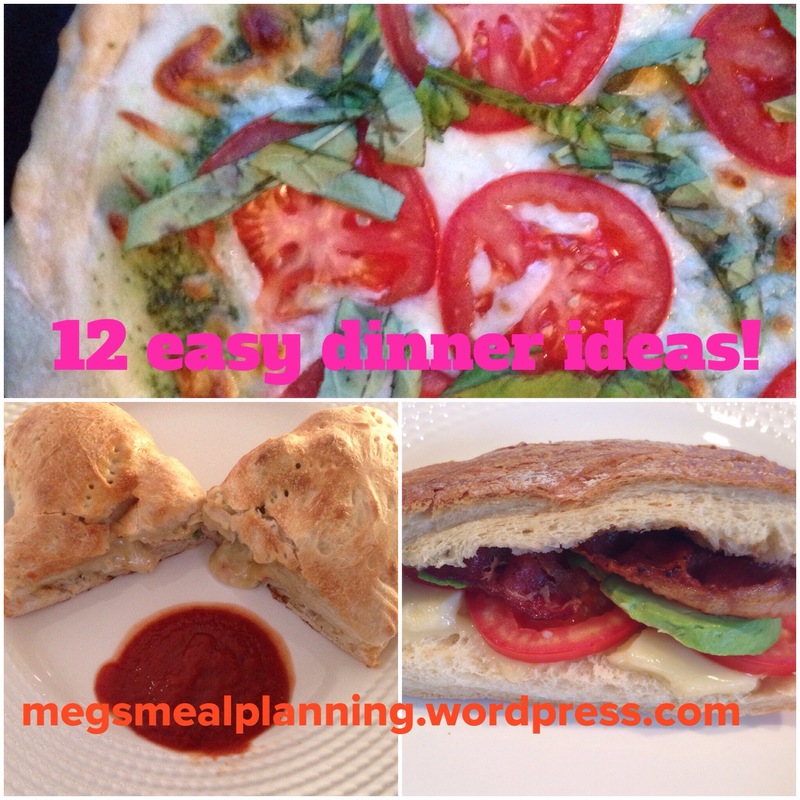 I’ve rounded up the top 12 to bring to you! 12. Pasta and meatballs. And even better, make extra meatballs for grinders for another easy dinner! Thank you! Especially in summer, I love not spending all night in the kitchen!